A boat speedometer can be in the form of a GPS Digital or a manual gauge. 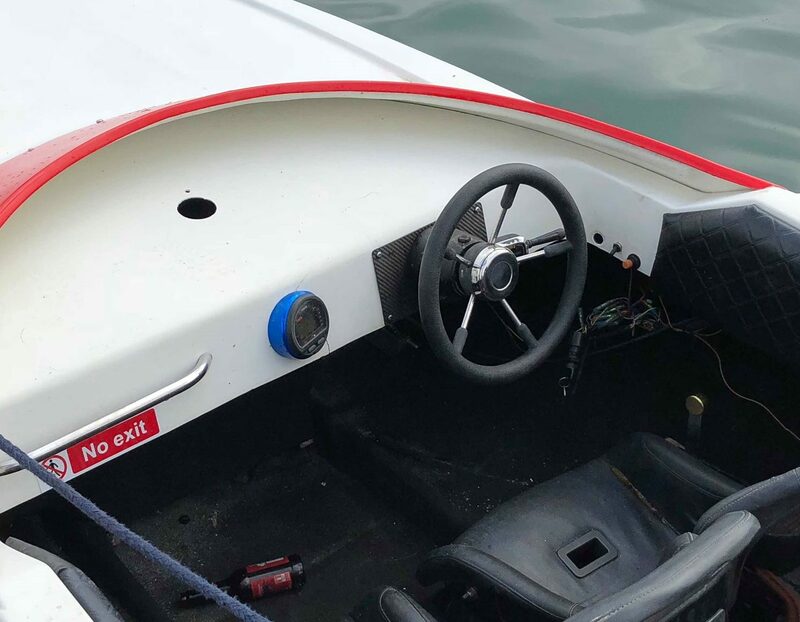 The majority of boats will have a dial in their cockpit that will display their speed to avoid water damage. Upgrading your speedometer with the latest range available will provide a more reliable reading. The best boat speedometer is the Faria 33826 Chesapeake that combines a tachometer and a digital reading that looks excellent in your boats cockpit. Styling is a big thing when deciding which boat speedometer to choose but the majority of manufacturers offer many colors for the most savvy boat owner. There are also many smartphone apps that can measure speed, which is all great but has flaws. A smartphone is not fully water proof and if you hit a wave where you become soaked, your phone may stop working. Another flaw is that it is not fixed and if you are speeding along, there is a high chance it will fly across the cockpit. There is a debate on whether GPS or Manual Pitometers are the best form of measuring boat speed. As technology has moved on, GPS speedometers have improved greatly and provide an accurate way of measuring speed. However, the old school method using air pressure to measure the speed is still a preferred option. 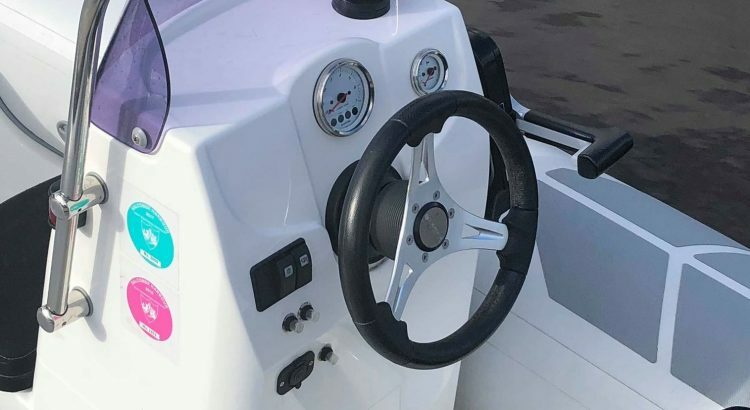 Whether you choose to go down the GPS or manual speedometer route, below is a list of the best boat speedometer with a variety of choices of tachometers, digital speedometers and more. The ATACH digital gauge displays speeds from 0 to 300 in mph, kmh or knots. A common worry with digital gauges is the potential to not see figures with direct sun light, but this model has a flat glass designed to reduce glare. Included within the main digital display is an instant speed reading, compass, odometer that is resetable and a distance trip meter. Compared to the cheaper digital speedometers from China, this model feels looks and feels high quality and is built to last. Faria are the favored manual speedometers but they also provide an excellently designed GPS speedometer. With the 33826 model, Faria have managed to include the tachometer as well as the digital display, which I think is a great feature. In terms of styling, the Faria is the best looking without spending large amounts of a large colorful screen. The installation is fast and simple with just a few wires from the back of the gauge that requires no additional external antenna. For those that travel their boats at night, this gauge has a white LED back light included so that the tachometer is visible. The Faria 32810 is a simplistic speedometer that is black and white with both speed metrics (MPH and KM). The digits are a large font for ease of reading, with the lower speeds closer together because you will be travelling at this speed often. Included with the gauge is a light that can be connected for the dark nights. If you are after a reliable and basic speedometer then the Faria should be your first choice. If you are looking for more style within the gauge, you can get the upgraded Faria speedometer called the Chesapeake SS. The noticeable differences are the stainless steel polished bezel, blue font, black pointer and domed glass lens. If you are looking for a more stylish speedometer than the standard, this Faria is your best buy. Also available is a black background to the gauge instead of the white. If you are a perfectionist like myself, matching the gauges across your cockpit/dash is the next step. Gauges that do not match will look odd and decrease the value of your boat in the future. The complete bundle of Water Temperature, RPM and Oil Pressure gauges for the Chesapeake SS really do look great together. Using specialist equipment to cut into the fiberglass body of your boat will help installing the gauges much easier. Its recommended that you ask a professional to do the cutting for you. Installing the gauges themselves are fairly simply to install with only a small amount of wiring required. The difference between GPS and Manual Speedometers is that a GPS speedometer is the speed through space (actual speed) whereas a Manual speedometer is the speed through water. The discrepancies between the two occur when the tide is different i.e. 5 knots. Your speed against it may be 25 knots but with it be 35 knots using the GPS. The manual speedometer will read 30 knots over water. If the boat were to speed through a dead clam river, the speedometers will be the same. A manual speedometer works from air pressure and not water pressure. The correct name for a manual speedometer is called a “Pitometer“, which picks up water as the boat is moving. Between the “Pitot” and the speedometer gauge there is a hose with air. As the speed increases, so does the water that pushes against the air in the hose, which increases the speedometer. The common cause of a boat speedometer not working is due to a loose connection of the pipe/hose or it has become clogged. The latter will usually cause a constant speed that doesn’t increase as the boat is accelerating. A GPS speedometer works by measuring speed every nanosecond from one GPS location to the next. In my opinion, the choice of your speedometer is dependent on the age of your boat and personal preferences. If your boat already has a pre-cut for a speedometer and is an older boat, a manual speedometer would be the best buy. Perfecting the trolling speed is only really doable using this method, which provides real time metrics. If you are more interested in the accuracy of the speed, the GPS speedometer is the most accurate. The digital display of the GPS speedometer suits modern boats and is a great upgrade if you don’t already have one.